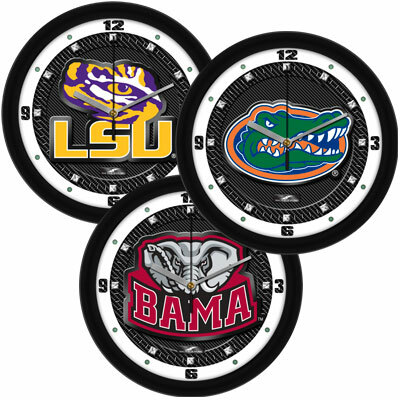 Suntime proudly presents our next college all-star, the Carbon Fiber Print Wall Clock! Inspired and graphically rendered in realistic team colors, the carbon fiber look alike dial really fools the eye. These 12-inch wall clocks feature a battery-powered quartz-accurate movement. Unlike other all-plastic wall clocks, you experience superior visibility and durability with our mineral glass crystal. The printed ring on the interior side of the crystal clearly displays the numerals and hour markers. The NEW Carbon Fiber Print Wall Clock will really score on any wall.